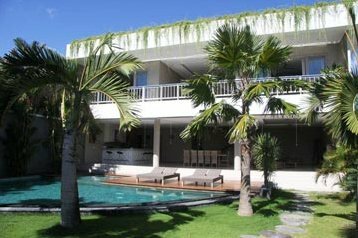 This wonderful villa is located in Petitenget area, Seminyak, where plethora of restaurants, bars and beach club are lining one after another. Tucked at the end of an alley, this villa of 5 bedrooms offers however the tranquility while all the hustle bustle of the city center is just a few minutes away. 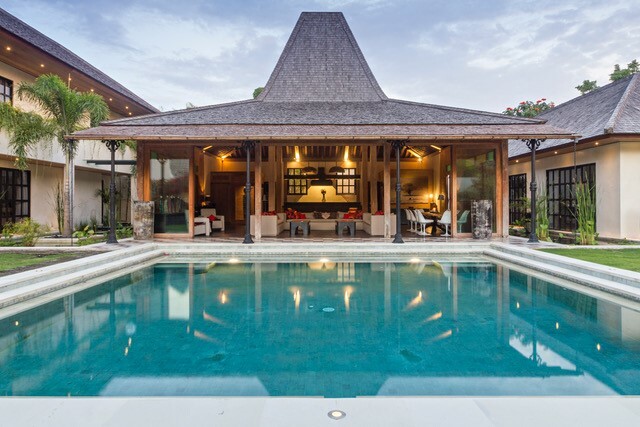 Built with a traditional wooden design, giving a balinese atmosphere, the property has a generous tropical garden with its large swimming pool. 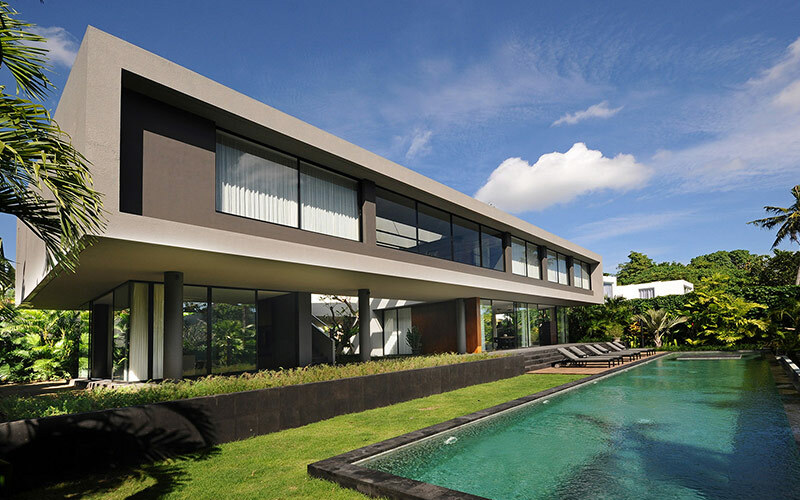 The house consists of 3 separated parts where the main building shelters the master bedroom, the open air kitchen and dining area, also the air-conditioned TV room. Another part shelters three bedrooms, all equipped and come with the en suite bathrooms. The last bedroom is located in front of the swimming pool, also equipped with bathroom. Perfectly located and very well-maintained, this villa is what you need for your investment on the island of Gods.